- Welcome to the Knights Inn of Shelbyville, Indiana. We are conveniently located between Indianapolis and Cincinnati. 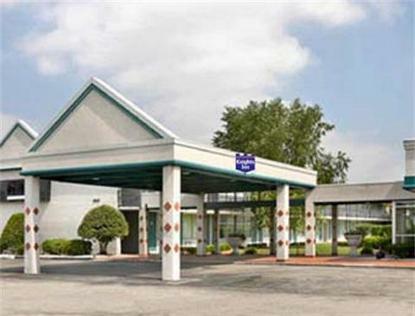 We are located just minutes from Indiana Downs Horse-racing Track, Indianapolis Motor Speedway, RCA Dome and all Indianapolis area attractions. -We offer 75 rooms with Free High-speed Wireless Internet. Complimentary Continental Breakfast is served daily. Free In Room Coffee too!-Seasonal Outdoor Seasonal Pool on site. On Site Restaurant and Bar. Free on site Bus, Truck and RV Parking. On-Site Guest laundry Services Available.